The next few weeks will feature the unique micro collections housed at the Platen Press Museum in Zion, Illinois, my second printing home. 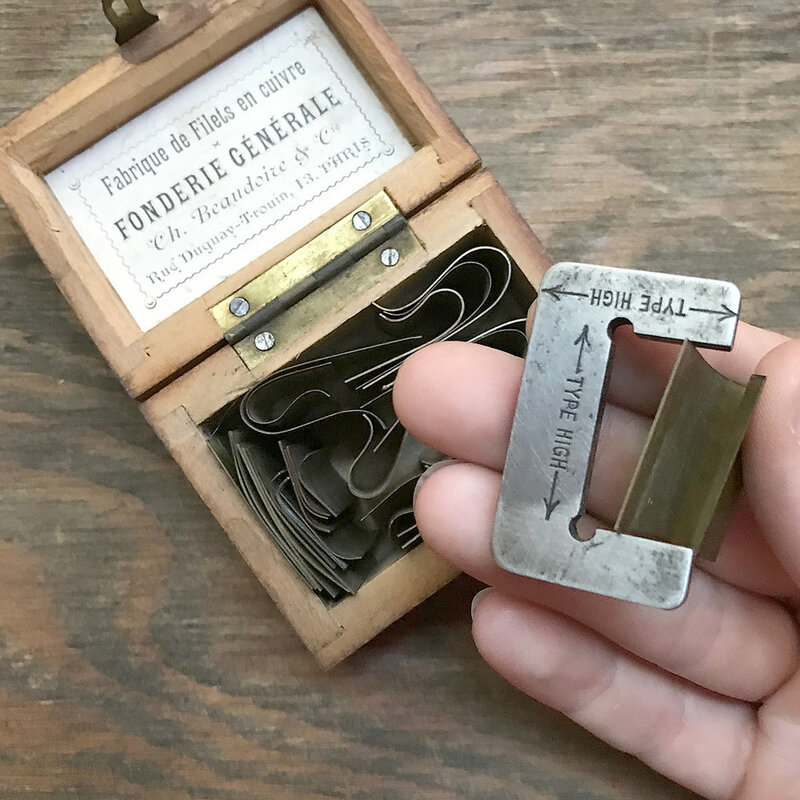 Paul Aken, the magic behind the Museum, suggested looking at type gauges this week, given that Monday was Type High Day, or 9/18 (September 18th.) 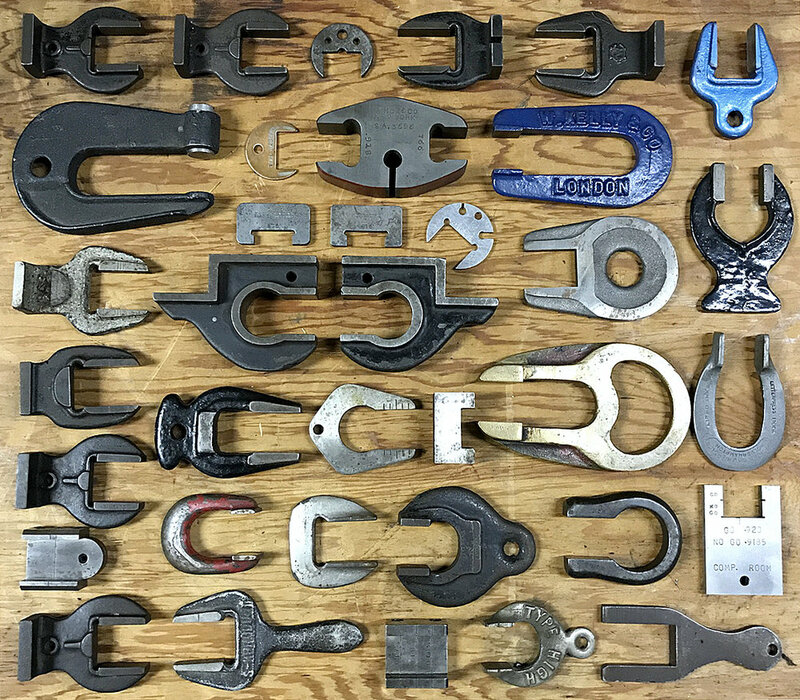 Type High, or height to paper, refers to the standardized height of each piece of type, which as you may already be aware, is critical to maintain for correct, properly functioning lock ups. American (and British) type high is .918" or .9186" if you're really into splitting hairs. 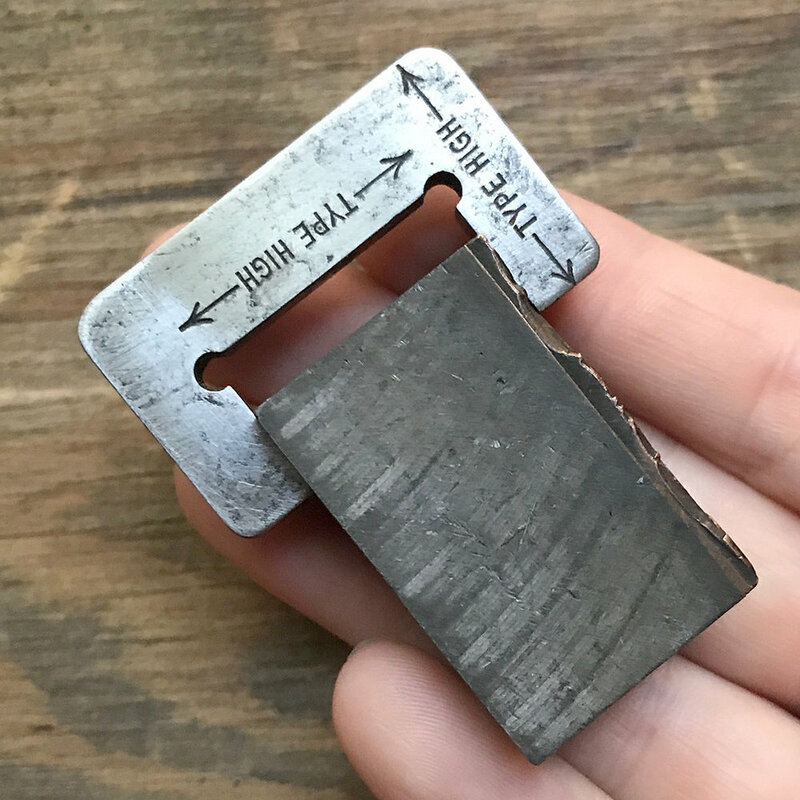 At the Museum, Paul has an incredible collection of type high gauges used for measuring type as well as cuts and plates that can also be part of a form. Wowser, what knolling, right? As you can see, gauges come in all shapes and sizes with just one critical measurement consistent between all. And it's a quick way to find out if European type has found its way into your collection (.928".) Often, Euro type for the American market has a little machining done to its feet to shave it to .918". I don't have a handy sample of this but you can see that my collection of French brass curves are too tall (.928") to fit in the gauge. They can, of course, be printed but not combined with type that's .918" or the impression will be uneven. Type high gauges are a fun find! Our printer's devil wears hers, a gift from The Arm, as a necklace so she can 'check to see if stuff is type high.' Start 'em young!